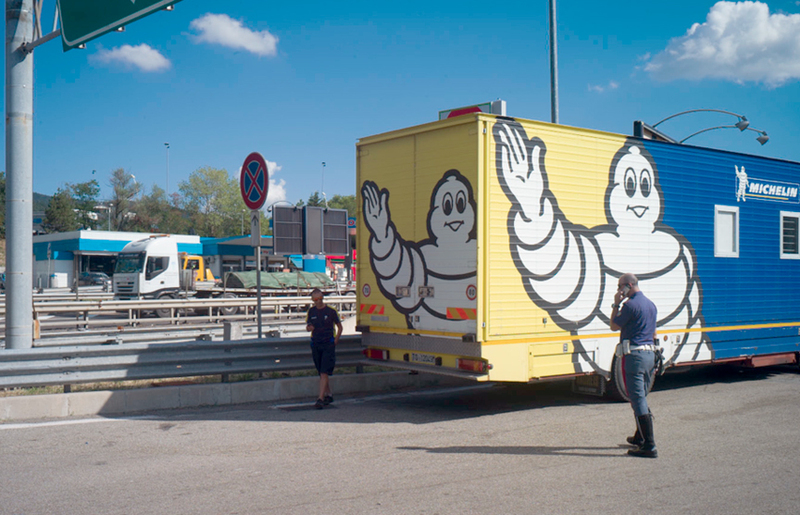 At a roadside rest stop I saw this cop walking over to make an inquiry of the driver of the Michelin truck and was amused momentarily by the symmetry of the scene; the colors of their uniforms, the dual cellphones, the pair of comic book images. It was just a moment in passing, but something about it was potentially interesting. 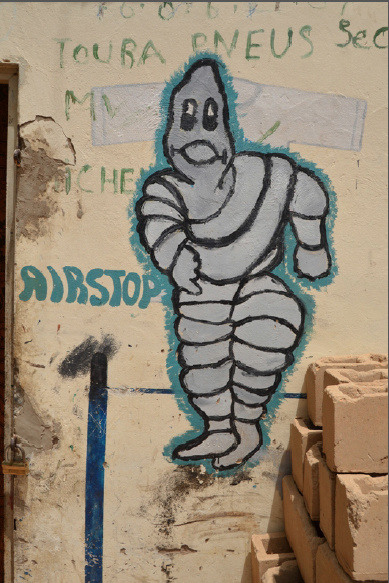 Meanwhile a friend has been involved with a project that involves crude, hand made Michelin men figures, photographed in an African nation where Michelin doesn’t support their distributors with any kind of advertising iconography, so the garage guys make their own. This work is currently on its way into a book. 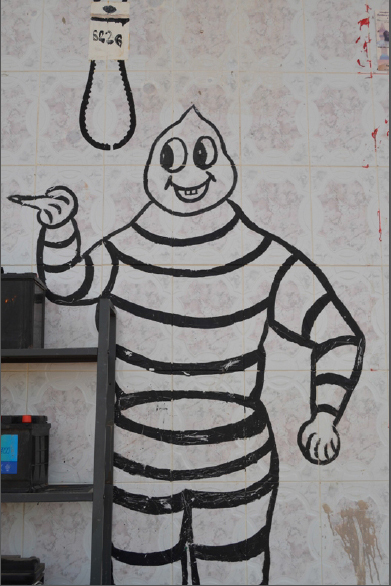 Here’s a peek at a few wild images of Michelin men. 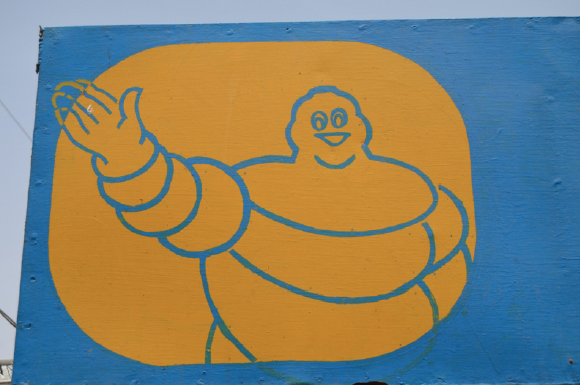 This entry was posted in Michelin Man, On the Road and tagged Michelin Man, Road on September 4, 2015 by joelmeyerowitz2014. I cant imagine how the hell my pictures ended up in your blog. I am proud of my work and happy for been part of such a pretigious blog. Thanks Joel. My name is Jose Luis “Leon” Esarte. Thanks Joel. Miguel is trying to help us in this project. Of course is not bad for me and I am very proud of been mentioned in your blog which now I follow daily. I have lots of pictures of different MAPA (modern african primitive art) concerning the advertising of shops and jobs in countries where most of the people are analphabet.